SET 4 TAPPETI IN GOMMA SET 4 TAPPETI IN GOMMA JEEP RENEGADE 14> (interasse fissaggi lato pass. Per JEEP RENEGADE 14> (interasse fissaggi lato pass. Tappeti auto su misura. In gomma di alta qualità, inodore e facile da pulire. ). Ai sensi del D.lgs. Il prodotto non deve essere mai stato utilizzato. In caso di restituzione Alla luce della direttiva 2011/83/UE il consumatore, nel caso in cui non abbia custodito il bene con diligenza e l’abbia per esempio danneggiato, sarà chiamato a rispondere della “diminuzione del valore del bene”. Jeep Grand Cherokee IV WK2 2013. Cavo Elettrico Negativo Batteria. INFO RESTITUZIONI. DC 12V 40A rated automotive relay. Blade fuse holder with replaceable 30A fuse. If you are not satisfied with the product or have any other problems. Do You need help?. Features: Preformed cutouts,better for mounting your switches up Perfectly match your vehicle,handy place to reach and use. No drilling cutting or other modification,just replace original one. Work with switch panel or simply use single one for light control Comes with 4 LED switch. Fits Jeep Wrangler JK / JKU 2011-2017 Description: High quality left hand A-pillar switch panel..
Search Terms: A pillar panel switch For JEEP for Wrangler 07-15, for Wrangler accessories, with four LED switches, vehicle Refit parts Features: For Jeep Wrangler 2007-2015 (Left Hand Drive Model). Exquisite workmanship, perfect texture. High quality left hand A pillar switch pod. Comes with 4 LED switch. ON-OFF switch operation,convenient to use. Features: Panel has capacity for 6 Carling style switches Exclusively designed to fit all Jeep Wrangler JK 2009-2017 without any trimming or cutting of any kind Customize Personal Panel: Customize unique personal switch panel Easy Installation: Everyting you need to complete a perfect wiring are in the box. 6 Gang Led Illuminated Swiches, 6 Relays, Six Blade Fuse, Wiring Harness with all required Mount, Holders and wiring instruction. The product make wiring super easy with its all in one, plug and play and safety first design orientation. You will never be frustrated by wiring any more. . Features: For Jeep Wrangler 2007-2015 (Left Hand Drive Model). Exquisite workmanship, perfect texture. High quality left hand A pillar switch pod. Comes with 4 LED switch. ON-OFF switch operation,convenient to use. 05/10 WK / WH Grand Cherokee 2005/2010 - Motore 3.7 L, iniettore di carburante. 2006/2010 - 6.1 L Motore, iniettore di carburante. Riparazione connettore cablaggio sensore ABS iniettore carburante Jeep Chrysler Dodge 5183448. Motor: 3.7L, 4.7L, 5.7L, 6.1L; ; 2005/2010 - 3.7L Motor, Einspritzer. ; ; 2005/2007 - 4.7L Motor, Einspritzer; ; 2005/2010 - 5.7L Motor, Einspritzer; ; 2006/2010 - 6.1L Motor, Einspritzer. ; ; 2005/2010 - Links Hinten Oder Rechts Hinten ABS Sensor. Jeep Grand Cherokee ZJ 93-98. Jeep Wrangler YJ BJ. Jeep Wrangler TJ 97-06. Jeep Cherokee XJ BJ. Jeep Comanche MJ BJ. Immagini del prodotto Il vostro specialista di jeep. con 4,0 litri. Kit de 2 Cables FFC AirBag para Chrysler, Jeep, Dodge 2007-16 envió rápido DHL,GLS5Pines G type,990mm,10mmFits Jeep Fits Dodge Dodge Nitro (KA) (2007-2011). Jeep Wrangler (JK) (2007-2012). Jeep Grand Cherokee (WK) (2008-2010). Motore: 4.0L; ; 1999/2004 - Motore 4.0L, Iniettore. 1999/2004 - Motore 4.7L, Iniettore. 1999/2004 - Sensore ABS Posteriore. Cable FFC AirBag para Chrysler, Jeep, Dodge 2007-16 envió rápido DHL,GLS5Pines G type,990mm,10mmFits Jeep Fits Dodge Dodge Nitro (KA) (2007-2011). Jeep Wrangler (JK) (2007-2012). Jeep Grand Cherokee (WK) (2008-2010). Ersatzteile und Zubehör. Jeep Grand Cherokee ZJ Bj. Jeep Wrangler YJ Bj. Jeep Wrangler TJ Bj. QUALITY 12 VOLT KETTLE For VAN Jeep MPV Camping Motorhome Makes 4 cups of your favourite drink Ideal for hot water, Coffee, Tea, Soup Also as a baby food liquid warmer Easy - Plug into lighter socket 1 ltr water content Cable length 1.50m 12v supply only Plugs into your cigarette lighter socket. Nice present idea. FAST DISPATCH PLEASE NOTE Important notice BEFORE ordering Please DO NOT rely on the compatibility list to make your decision of parts, as cars come with many variations and fitments on the same make and models. Check things like dimensions size and other stated fitment criteria prior to ordering to make sure you get the correct part as vehicle parts can have more than one option due to changes on chassis / engine number or modification. We cannot . 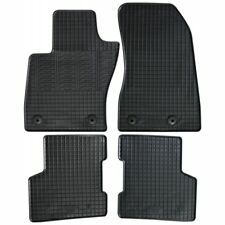 Dies Kit Ist Erfoderlich Zum Instalieren Eines Neuen Mopar Oder Ein Gebrauchtes 03-06 Wrangler Tj Hardtop . Am Älteren 97-02 Modell Wrangler Ist Schneiden Und Kleben Erfordelich. JEEP COMPASS. BATTERY NEGATIVE CABLE. GENUINE NEW. PH4 - 41, 49 - 50. PA20 - 38, 41 - 49, 60 - 78. IV1 - 28, 30 - 32, 36 - 48, 51 - 56, 63. Motor: 3.7L; ; 2008/2012 - 3.7L Motor, Einspritzdüse; ; 2008/2010 - ABS Sensor Hinten. Motor: 2.4L, 4.0L; ; 1997/2004 - 4.0L Engine, Fuel Injector; ; 2003/2006 - 2.4L Engine, Fuel Injector. THROTTLE ACCELERATOR PEDAL WIRING REPAIR. CHRYSLER DODGE JEEP. most models 2003 - 12. GENUINE NEW. 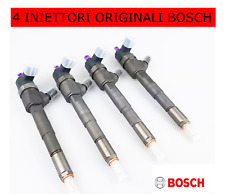 Motore: 3.7L, 4.7L, 5.7L, 6.1L; ; 2005/2010 - 3.7L Motore, Fuel Injector; ; 2005/2007 - 4.7L Motore, Fuel Injector; ; 2005/2010 - 5.7L Motore, Fuel Injector; ; 2006/2010 - 6.1L Motore, Fuel Injector; ; 2005/2010 - Left Rear or Right Rear ABS Sensor. Mit 5.7L Motor (Fuel Injector); ; engines (Fuel Injector). This Plug Kit Is Required For Those Installing A Mopar® Brand New or Used 03-06 Wrangler Tj Hardtop On An Older 97-02 Model Wrangler. Cutting and Splicing Is Required. Marke Painless. completo cablaggio veicolo con scatola dei fusibili. Jeep CJ 76-86. L'alta qualità di cablaggio 12 volt cablaggio. Motore cablaggio; illuminazione dell'albero cavo. Indolore Cablaggio. Motorkabelbaum; Kabelbaum Beleuchtung. kompletter Fahrzeugkabelbaum mit Sicherungskasten. Qualitativ hochwertiger 12 Volt Kabelbaum. Jeep CJ Bj. Con Motore 5.7L (Fuel Injector); ; engines (Fuel Injector). 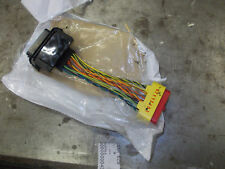 ENGINE WIRING HARNESS LOOM. Chrysler Jeep Compass 2.2 CRDi. Get in touch if you require any other part. Removed from a 2012.